The ascendancy that the native women were capable, in some instances of obtaining over the mind of a European, was strongly exemplified, at this time, in the person of a very young man who held a situation of much respectability in the ship. Soon after our arrival at Wangarooa, he was employed with others in superintending the men employed in making the road; and during his residence on shore, he so strongly attached himself to the daughter of Towi, the chief of Rangehoo, that he became extremely remiss of his duties; and it was necessary, after a time to oblige him to return to the Dromedary. The female followed him on board; and the same inattention, on the part of the young man, still continuing, she was ordered to leave the vessel. Nothing of course remained but implicit obedience to this mandate; and the young man obtained permission to see his fair companion, in safety, beyond, the boundaries of George’s district. The parties left the Dromedary early in the morning; but at night the young man did not return; and it was soon ascertained that he had taken up his abode at Rangehoo, with the intention of sacrificing his profession and his country to his most misguided attachment. To recover him was a matter of much delicacy. Situated as they were, force could not be used; and persuasion was not likely to have much effect. After some consideration, it was determined to request one of the missionaries to try to entice him to his house, and there make him a prisoner; while a sergeant and corporal were sent to the Bay of Islands to assist in executing this measure, having particular instructions to avoid doing anything that might endanger their persons, or cause tumult or irritation among the natives. The young man, after remaining on the hill of Rangehoo for some days, went on board a whale-ship, for the purpose of getting some provisions; and he was immediately followed by the sergeant and corporal and arrested. The master of the whaler lent a boat in which he was conveyed to Kiddy-Kiddy; and the matter was managed so quietly, that it was some time before the islanders were aware of what had happened. The moment it was known, Towi’s people sent off a war-canoe after the boat, but she was then far ahead, and under a press of sail; and the natives did not long continue the pursuit. Towi’s rage at first was ungovernable: in his fury he publicly declared that any person belonging to the Dromedary, who landed on his beach, should be instantly murdered; and at a much later period he continued to express his astonishment that the white men should prevent the union of one of their own body with his daughter, whom he considered far superior in rank to any individual holding a subordinate position in the Dromedary. When the young man came on board, he was put under arrest, in which situation he remained until this day, when he succeeded in effecting his escape, by bribing one of George’s people to bring a canoe, at a late hour in the evening, close to one of the raft-ports, which, contrary to custom, was left open. He had not been long gone when he was missed, and George, who happened to be on board at the time, was summoned to the quarter-deck, and told that, as he was considered answerable for the conduct of his tribe, he must either recover the fugitive immediately, or expect to be treated with the greatest severity. The chief, who it was generally supposed had been implicated in the transaction, and had probably received the reward of his perfidy, made no hesitation in undertaking the apprehension of his victim; and he was conveyed on board in a canoe the next day. He was taken by his pursuers, in a lonely hut on the banks of the Kameemy. His female companion had joined him a short time before; and the parties were found with their noses fastened together, and crying and sobbing in the same melancholy manner as is customary with these islanders after a separation of any length of time. Richard A. Cruise, Journal of a Ten Months’ Residence in New Zealand, Longman, Hurst, Rees, Orme, Brown and Green, London, 1824, pp.238-42. A young man of respectable position had been willing to sacrifice everything in order to enter the Maori world, and thereby get the girl. But his tale was more than merely one of romance across the races, a kind of Mills & Boon novel set in early nineteenth-century New Zealand. As I note in The Meeting Place, the description of the unnamed man's final capture indicates the extent to which, even after a relatively short space of time, he had already begun to embrace Maori custom. 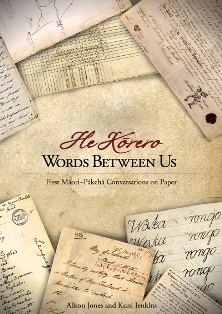 While some Pakeha at this time exchanged hongi with Maori out of necessity, it seems in this case the act was wholly sincere. We can read much, too, into the chief's indignation at the thought that his daughter was somehow deemed unworthy of a young Englishman. That was not consistent with the kind of relationship based on mutual respect and reciprocity that Maori at this time expected to enter into with Europeans. The sexual politics of the frontier really were quite a minefield.